Was I the only one who entered into a tryptophan-induced coma on a couch yesterday afternoon? I did well at round ONE of the hubby’s side’s family Thanksgiving extravaganza…it was round TWO several hours later that was completely and totally unnecessary. And yet, just as good the second time around. 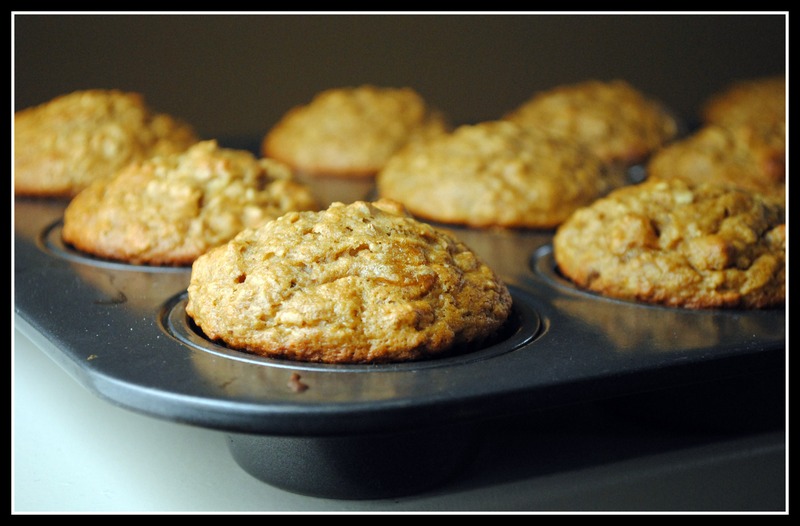 If you’re opting out of the chosen form of insanity exercise today, may I suggest you repent for yesterday’s sinful indulgences with these banana nut muffins? I can think of nothing better than guilt-free carbs on the morning after Thanksgiving. Because you’re going to need that energy when you hit the gym later, riiiight? Absolutely. 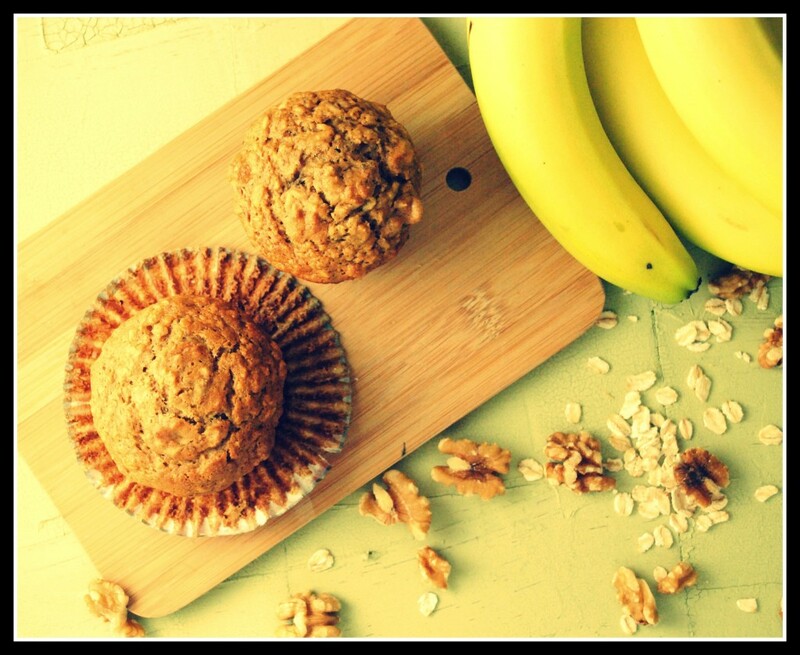 We’re talking muffins with all whole grains (oats and whole wheat flour), omega 3’s and healthy fats from the walnuts, and fruit…all for 166 calories. Not just any muffin. That’s nearly as good a bargain as Amazon had going on last night. I had my cursor hovered over the link for a 40-inch LCD TV for $199…that I didn’t win…or even get wait-listed for. Thirty minutes of my life I’ll never get back. And hey, Amazon. I recall saying recently that if I could do all of my Christmas shopping from Amazon.com…I would. Let’s make it happen, mmmkay? Thankyouverymuch. So while you’re out today, add a few things to your grocery list to make these muffins. Or at the very least, stop by soon to see what I’ve got planned for next week’s menu. ‘Cause I am pretty pumped about what’s going down in my kitchen despite yesterday’s feasts (plural). Maybe it’s because I wore leggings versus anything with an unkind waistband? But really…keep the traditions rolling. It’s that time of year. And what’s more traditional than banana nut muffins? They’re in all year around…just like healthy breakfasts, fiber, and heart-healthy fats. Soak the oats in the milk for one hour. Spray muffin with non stick spray, or line tray with cupcake liners. Combine the soaked oats, bananas, egg, and vanilla extract. In another bowl combine the whole wheat flour, brown sugar, baking powder, baking soda, salt, and cinnamon. Combine the dry and wet ingredients together and mix in the walnuts. Spoon into the prepared muffin pan. It fills the muffin cups on my muffin pan. Bake for 20 minutes or until done. Yield: 12 muffins. Result: Two thumbs up! Though my search was for a vegan variety, and these most certainly are not, I loved that they used the oats so creatively and used no refined flour. They weren’t dense, they were sweet, and they have lots of crunch and healthy fats for staying power to keep these carbs lasting through the morning hours. Enjoy! I have plans to workout, and despite my better judgement…probably some shopping (in a store…at the mall). Wish me luck and send me patience. « Looking is calorie-free! Happy Thanksgiving! Nick and I Went shopping last night. We walked into the store to buy a TV, then walked right out. It was…..HELL. To say the least. I will never do it again. The muffins sound superb. For once in my life, however, I can’t even think about food. I’m thinking of doing a one-day (and one-day only) fast. Ha, I doubt that will last, but for now the thought of food (and malls) is making me quiver. You’re going to brave the crowds?? Yikes. Best of luck. I’ve never had the desire to go cross border shopping on black friday but I may be one of the few. My office is eerily quiet today. After a holiday I want nothing more than to go to the gym. I get peeved that my gym is always closed on Boxing Day. Hope you had a great Thanksgiving, Nicole!! These muffins look amazing! I am definitely in the mood for baking, so maybe I could whip these up today! Good luck with the shopping. I went down to the States a few years ago for Black Friday and it was crazy but awesome. 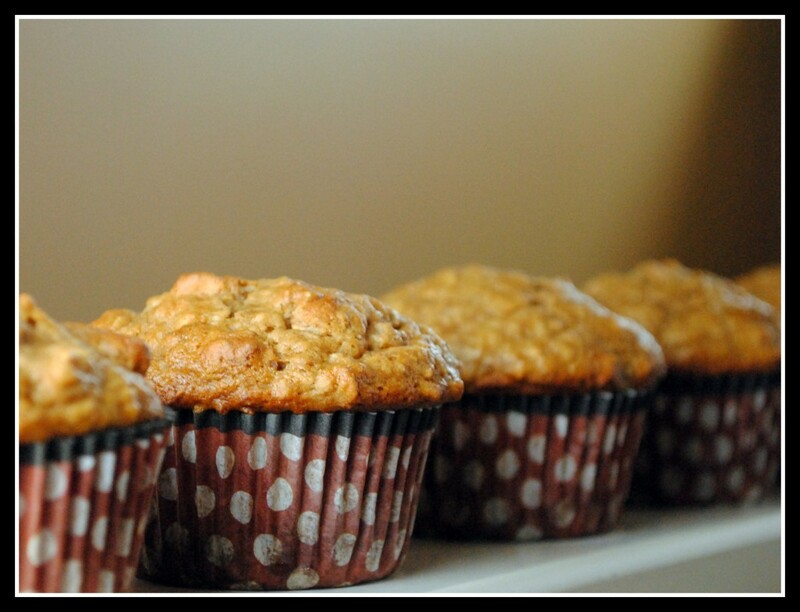 Mmmmmmm….these muffins are the perfect way to start the day! I went out to a few places today for Black Friday, but by the time I woke up and went out it was noon so it wasn’t crowded at all. Loved the bargains! I can totally relate to wanting to get in the kitchen right away after the holiday. Even though yesterday was Thanksgiving and I have a crap-load of leftover cranberry sauce, I got in the kitchen early this morning to make another batch of “Mexican Cranberry Sauce” with cilantro and jalapenos. It was different and delicious! That sounds sooo unique and delicious! I am very thankful for people like you who post not only delicious recipes but at the same time healthy treats. I have PCOS just like many of your readers perhaps, but I am not overweight or on the bigger side of the scale…in fact I am very petite. However, I know my blood sugar level can rise anytime if I don’t watch what I eat and I can start my missed periods again. Infertility was my main problem before but now that I have a 2 year old adorable daughter, I know I just have to continue my healthy lifestyle. 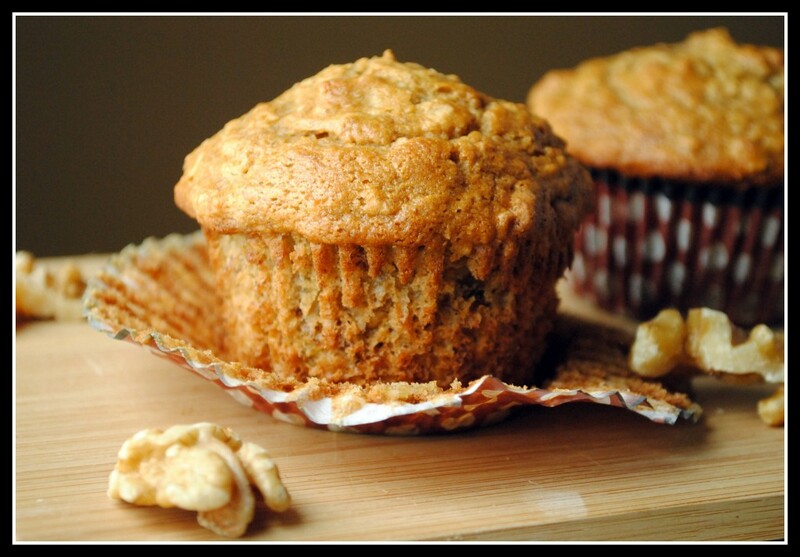 Thanks to your banana nut muffins…I can enjoy a healthy snack and still have the time to shop for leggings, I think that will go well with a lot of my tops too…Enjoy the rest of the holiday season. Keep posting! Thanks, Anna. Congrats on your perfect baby girl 🙂 Warms my heart to hear of PCOS “success stories”! Happy holidays! These look delicious! I’m over from Chef Dennis’s blog…your Thanksgiving post was super! New follower! I’m having my second thanksgiving today…and come to think of it, leggings seem like an AWESOME idea! i wish I had had these muffins for breakfast, though. They would have made my life. 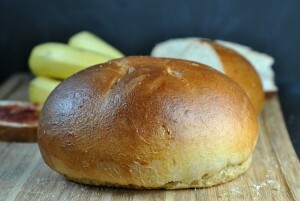 Be careful with your terminology – a whole wheat flour is not a whole grain! 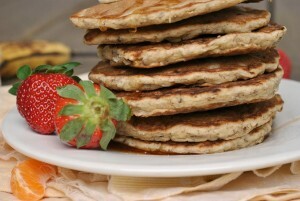 Still, these are loaded with nutrients and much better for you than what people normally make. Thanks, Margaret – you’re right! I really appreciate your site. I’ve made several of your recipes (including these muffins this morning! ), and every single one has been delicious. And I appreciate that you make them healthy without using insane ingredients that I can’t afford or even find in my small town. Thanks for doing what you do! Also, Two eggs were used, not just one. The texture was spot on! So good.